Tired of getting bogus leads through online campaigns!!! Access to our cloud service that can be used 24 hours a day, 7 days a week and can be used to verify leads worldwide. You get access to our APIs to send and confirm One time passcodes and ability to configure them. It works on all types of phones including land lines. You get a report that can be seen online at any time to see your validated leads. We help you integrate our API with your landing page(s) and to help you run reports etc. And Email/Phone support in case you have any questions. When we validate an email or phone number, we validate whether it meets certain requirements like every email should have an '@' sign and a '.' and every phone number should have a country code, area code and should be 10 digits long. Verification of that email or phone number is done by sending a six digit number to that email id or mobile phone (and in case of a land line, an automated call is made that speaks a 4 digit number) and we ask the user to enter the same number on a form that they see on their laptops or desktops. If they are able to write the exact number then we know that the phone number or email is a valid one. Hence verified that the user has access to the number he is entering. 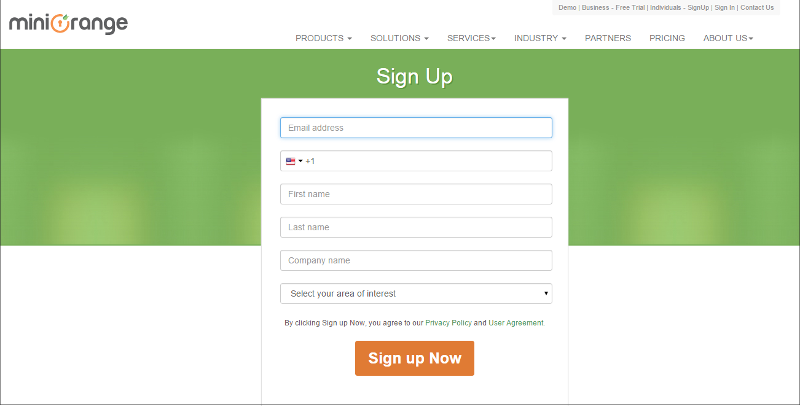 Login to miniOrange dashboard with login credentials that you will receive in email. 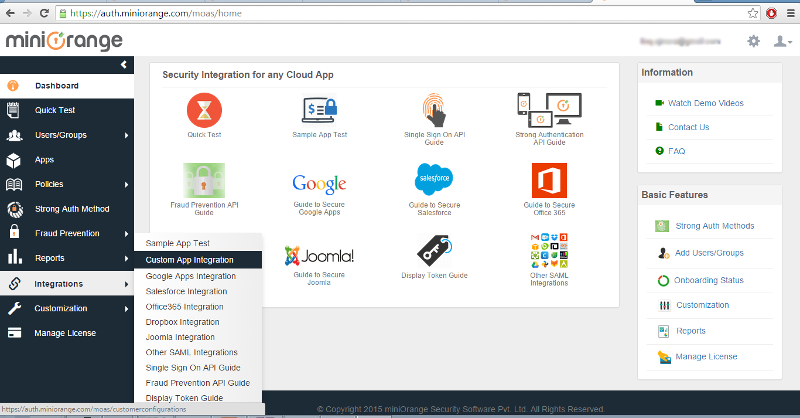 Copy your Customer Key and Customer API Key that you will require in next steps. To generate an OTP, you need to make a HTTP POST request to our Generate Rest API. 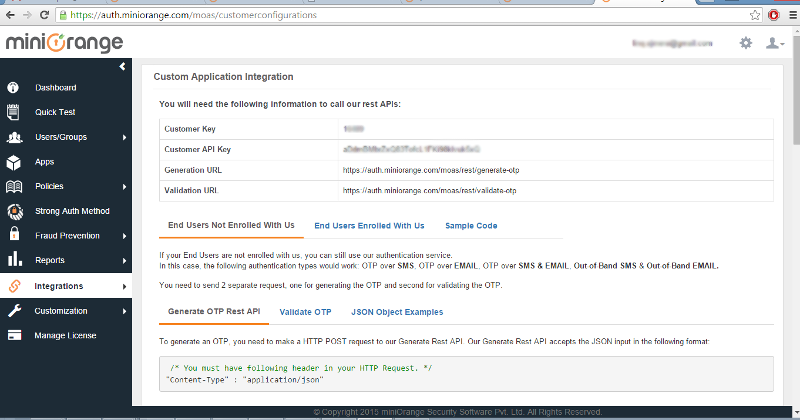 Our Generate Rest API accepts the JSON input in the following format:. phone * Phone number to send OTP. name Name of the lead. address Address of the Lead. company Company Name of the Lead. website Website of the Lead. comment Comment by the Lead. additionalFields You can store upto 4 additional lead parameters in field1, field2, field3 and field4. To validate an OTP, you need to make a HTTP POST request to our Generate Rest API. Our Validate Rest API accepts the JSON input in the following format:.